Sometimes, “suing City Hall” has nothing to do with a traffic accident involving a government owned vehicle, sexual harassment in a governmental office, or a slip and fall accident on government property. 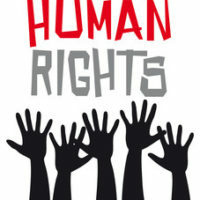 Sometimes, it’s about a citizen’s rights that have been abused because unwarranted force was exercised by the police. That is exactly the reason why the personal injury attorneys at Ramey & Hailey are representing clients Carl and Sonia Williams in their lawsuit against the City of Indianapolis, the Metropolitan Police Department, and Officer Christopher Mills. The “complaint” document which was filed in the United States District Court Southern District of Indiana, Indianapolis Division was titled Carl and Sonia Williams vs. Indianapolis Metropolitan Police Department, City of Indianapolis, and Officer Christopher Mills. Officials and officers of the Indianapolis Metropolitan Police Department were well aware in 2016 that there was disproportionate tendency for police officers to shoot black males without warning,” the complaint continues, saying that the City’s failure to properly train and supervise its officers resulted in all of the injuries suffered by Carl Williams on August 23, 2016. If you have suffered harm which you believe was the fault of a government or a governmental agency, including the IMPD, our attorneys will help you begin the process by filing a complaint with the court.